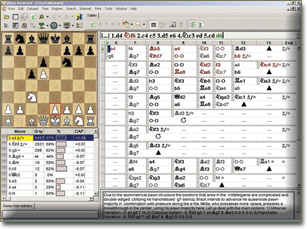 Chess Assistant is the world’s most advanced chess database system, combined with the world’s rating leader among chess engines, Houdini 2. Experience lightning fast searches, even in its biggest database with 5,1 million games. Automatic weekly updates, with thousands of new games, keep your database current. 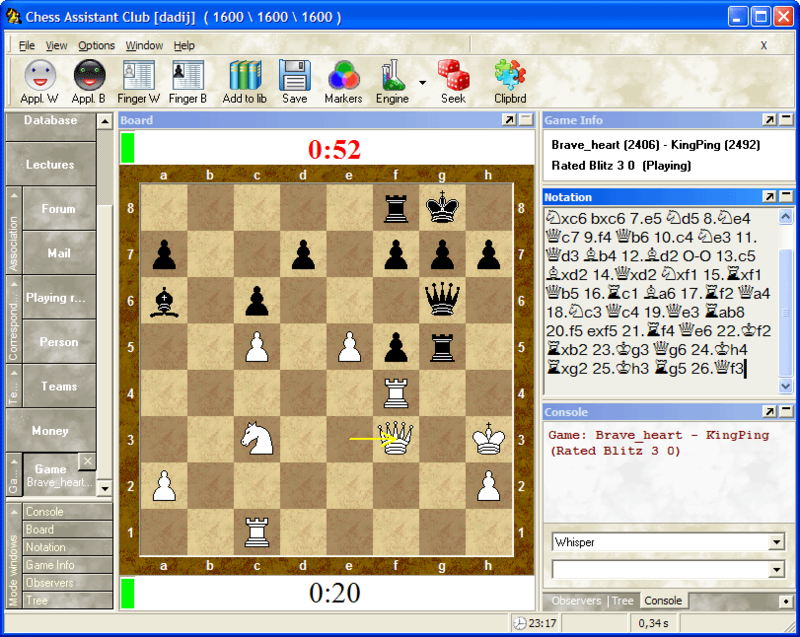 For online play, Chess Assistant offers you the choice of two popular chess servers: ChessOK Playing Zone and ICC. 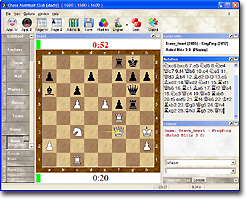 Chess Assistant 12 comes with the Houdini 2 chess engine. 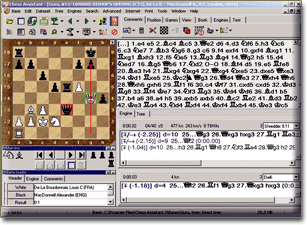 Houdini 2 leads most independent computer chess rating lists by a considerable margin. 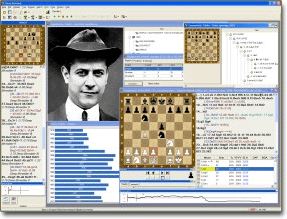 No serious chess player can be without Houdini 2! Chess Opening Encyclopedia 2011 contains rich theoretical material on all openings. It contains over 8.000 annotations from GM Kalinin and 40 million evaluations by the strongest engines. The detailed key system for all openings can be edited to suit your needs. 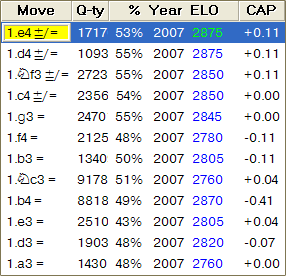 Include/exclude selected moves from analysis. Multivariation and adjourned multivariation mode. 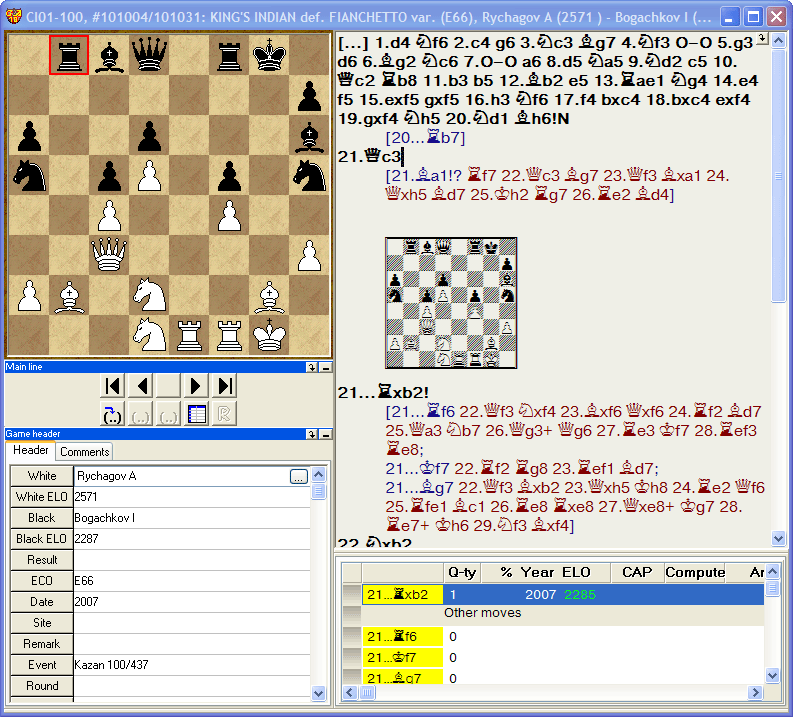 Analyse simultaneously with several different chess engines. Check moves in game or annotations. Analyse position from both sides at the same time. One- or two-panel display of analysis. Advanced search with simultaneous specification of material in 12 regions on the board. New trees can be created from any collection of games. Detailed information is displayed about positions: Human evaluations, computer evaluations, and various statistics. Wide selection of time controls and other playing options. DGT board support with voice announcement of moves. 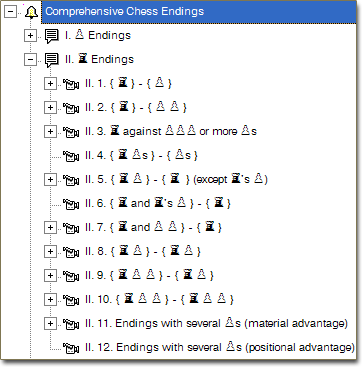 Chess Assistant’s own efficient database format (CDP). The Aquarium interface also supports all these database formats, which allows you to share databases between Chess Assistant and Aquarium. Support for Houdini, currently the strongest chess engine. Winboard support – Ruffian and Crafty are included, built-in support for over 50 others, available via free download. 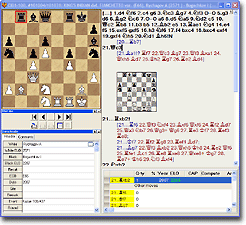 Hundreds of chess engines to choose from, including specialized mate solvers. Most of them are available via free download.